Penthouse in good condition with lots of light and direct sunshine (this very well oriented), is outside a large patio very quiet apple, has a gallery that can be transformed into a large balcony. Originally it has the ceilings with wooden beams and Catalan back, it is a very square floor with many possibilities of distribution as it has no master walls. There Is the possibility to use the community roof of 50m2 (located above the floor), which nobody currently uses. The Farm is in The right state and now they will paint the whole staircase. It Is located next to the Rambla del Raval and the Boqueria Market. It Has very good communication with all kinds of public transport and shops. 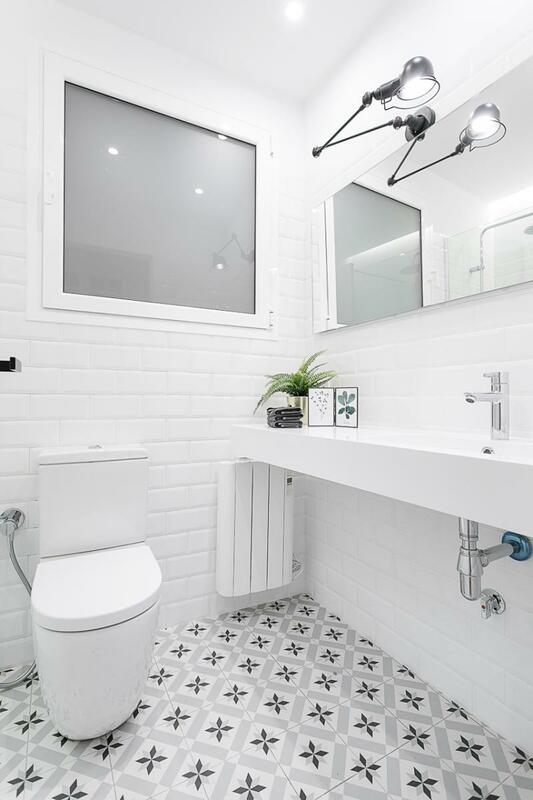 Penthouse to be refurbished with elevator very well located in the historical center of Barcelona, is bright, ceilings with wooden beams, complete bathroom and kitchenette. It Is inside a quiet community yard in very good condition. Finca with the last IT, this very well located next to the Arch of Triumph, Park of the Citadel and Paseo of the Borne. It Has very good communication with all kinds of public transport and shops. Ideal for investors! Refurbished House at 50m from the beach, located in the historical center of Barcelona with very good communication and services. It Is a ground floor on the street with independent entrance, has 1 double room, living room with kitchenette and full bathroom. It Consists of climate control, ceilings originally with wooden beams and Catalan back. Finca in good condition and very well located a few meters from the beach and Port Vell, has very good communication with all kinds of public transportation, services, restaurants and shops. Good investment to live or to rent. Apartment in Villa de Gracia, located in a quiet street, close to metro lines and bus. It Has 2 bedrooms, living room, kitchen and bathroom. It also has a communal rooftop with breathtaking views and an elevator. Charming apartment with integral renovation of high quality. 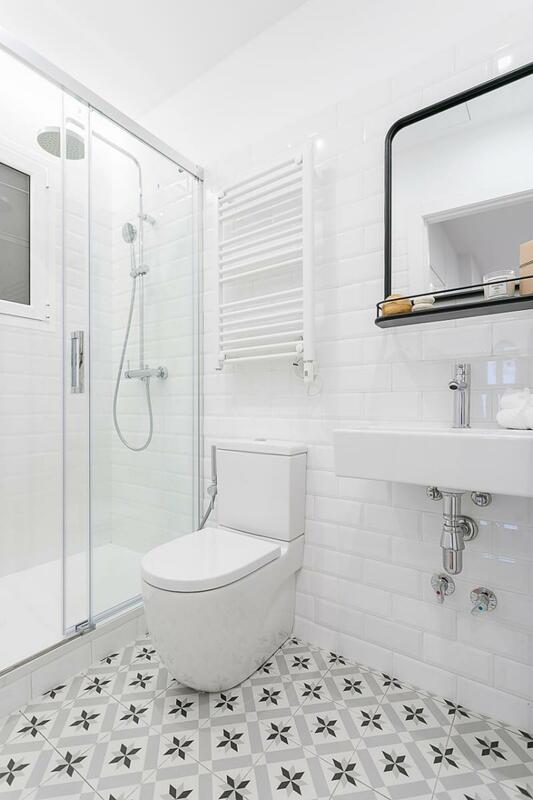 Very sunny flat in a renovated building with elevator. One suite with a full bathroom and dressing room and one master bedroom. Kitchen fully equipped with Bosch and Siemens appliances, Silestone worktop, Grohe faucet. Fujitsu ducted air conditioning. 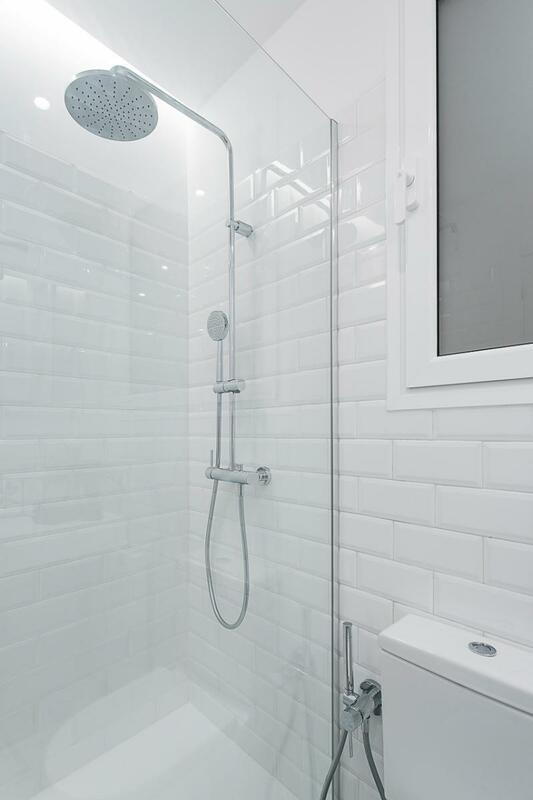 Located in Muntaner and Mallorca street, in the heart of Antiga Esquerra de l'Eixample. Located in a charming environment next to the market of Ninot and Enric granados. Fabulous High End Renovated apartment of 110m2 in Calle Aribau, an excellent location close to Plaza Universidad and Enric Granados, less than 500 meters from Paseo de Gracia. It consists of a large living room of 28m2, a semi open fully equipped kitchen (Bosch appliances, worktop in Silestone, Grohe, Faucet ...), two suites with dressing room and bathroom, one single room (or an office space) and a laundry area. Ducted Air conditioning and gas heating. High range renovation. Apartment WITH TOURIST LICENCE in the Poble sec neighborhood on a quiet street with all amenities, supermarkets, laundries, pharmacies and jsut a few steps from the famous Blai street with its trendy bars and restaurants. It has 3 bedrooms (2 double and 1 single), a bathroom and a toilet, a kitchen and a living room with an access to a balcony. The apartment can accommodate up to 7 guests according to the license. It has been run for tourist use since 2011 yielding a high profitability. The apartment is located on the second floor without elevator, which is expected to be installed in 2019. Good opportunity for business, don't hesitate to contact us for a visit! 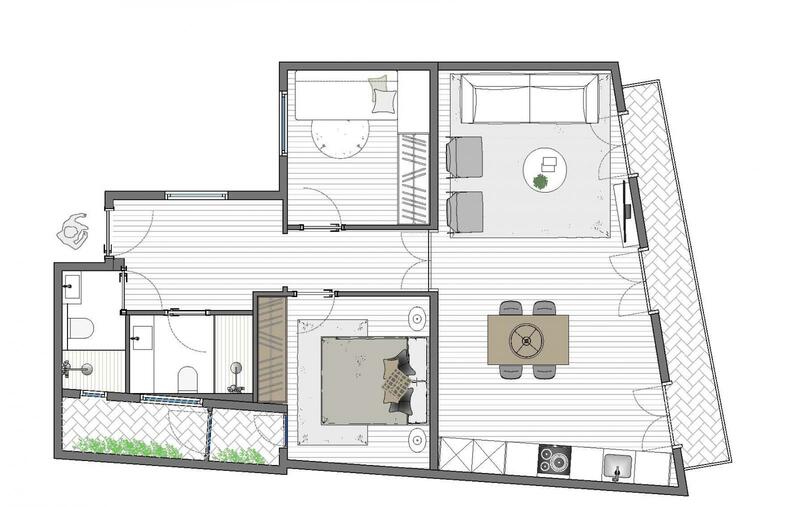 Penthouse with private terrace (58m2 + 27m2). Very well located in the Born just in front of the park of the Forat de la Vergoña. It Is a penthouse (floor four) with beautiful private terrace overlooking the whole park. Outdoor Terrace facing the street to the southeast with direct sun throughout the morning. Living Room with kitchen and a very large double room 'loft' style. Bedroom to the inner courtyard. Ceilings with wooden beams, original floors, complete bathroom and storeroom. Many possibilities of distribution or modernization. Fully refurbished Building with the possibility to install an elevator. Very well located next to the Santa Caterina Market. Good communication with all kinds of public transport and shops. Beautiful apartment located right in the center of Barcelona, just a few meters from the emblematic Mercat de Sant Antoni. It has a built area of 39 square meters and is distributed in a living-dining room with a floor-to-ceiling window overlooking a large interior courtyard, separate kitchen, a double bedroom that is separated from the living room with a wardrobe and a bathroom with shower. Excellent communication with public transport (only 400 meters from Sant Antoni metro line L2 station). Ready either to move in or to rent it out!Do not hesitate to contact us for a viewing! Floor to reform in the center Histoirico of Barcelona and has many possibilities of distribution since all the walls are partitions. It Is Exterior to the street with 2 balconies (orientated to the southeast), it is the last floor of the building, has the ceilings with beams of wood and Catalan turn. Finca totally rehabilitated and with possibilities of elevator, this very well located next to the Cathedral, the Born and the Barceloneta. It Has very good comunbiación with all kinds of public transport and shops. Magnificent Duplex Penthouse next to the Sagrada Familia, has a private terrace of 36m2 level and a private solarium of 60m2. It Is A very bright apartment, outside the street (facing south-east), ceilings with wooden beams, kitchenette, living room with fireplace, wooden floor, air conditioning with heat pump and gallery to patio block. Finca Antigua in good condition very well located next to Av. Diagonal, the Sagrada Familia and Paseo Sant Joan. It Has very good communication with all kinds of public transport, shops and services. Flat for sale in Barcelona, with 587 ft2, 1 rooms and 1 bathrooms, Swimming pool, Lift, Furnished and Air conditioning. 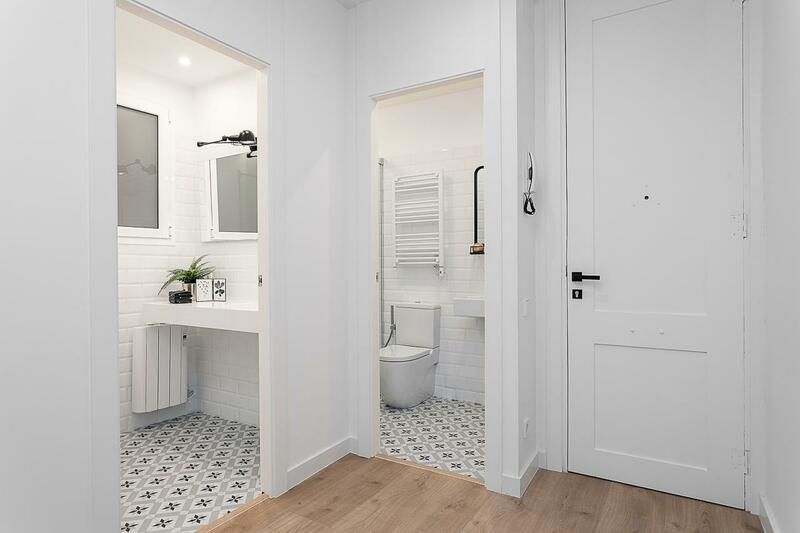 Beautiful 85 m2 Floor completely rehabilitated in the heart of the Putxet, in Sarriá. It Consists of a large living room very bright with sun of tomorrow, three bedrooms two double and one single, a bathroom with shower, equipped kitchen, laundry and a large hall with wardrobe. It Is completely refurbished and the reform is of superior quality. The floor is parquet wood, has gas and A.A. heating, elevator and storeroom of about 4 m2. It Has the possibility of parking in the same optional rental property, which is accessed from the elevator of the property. It Is very well located in the district of Sarriá. It Has the Metro of the FFCC: 'The Putxet', the Market of Sarriá opposite and is in a zone of shops, garden areas and close to the rounds. 55 m2 Apartment with very bright charm in the heart of Poblenou at 100 m. from the beach. It Has a large dining room with a balcony and a fully equipped kitchenette. A spacious bedroom with dressing room, a bathroom with outside shower and laundry. The floor is reformed, the floor is of stoneware, it has gas heating, A.A., The carpentry ext. It Is aluminum and inside with sliding doors. Community Expenses: €23/month and IBI: €200/year. It Is very well connected Metro L-4 'Poblenou' and only 150 m. From the beach: 'Mar Bella'.